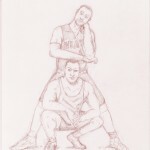 Dwyane Wade and Dwayne “The Rock” Johnson. Yes, I thought of this solely because they both are named Dwayne — only to discover Mr. Wade spells his name differently. If this pose seems familiar, you must have been alive in the early 90s. 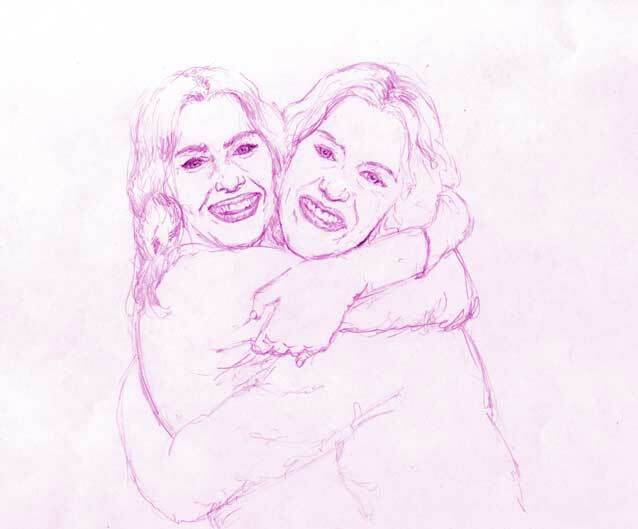 Today’s warm-up sketch subjects, Rachel Weisz and Kate Winslet, might well already be friends for all I know. One thing that is certain, I get the confused with each other. 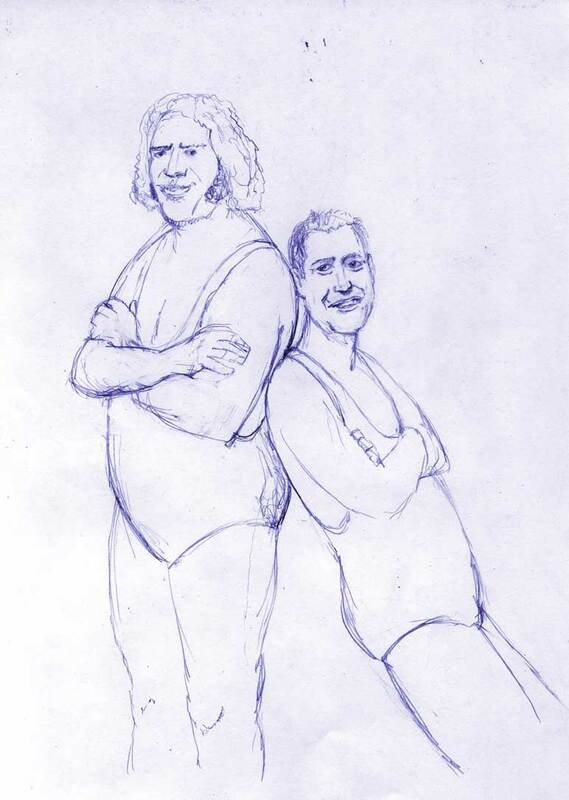 I was tempted to draw Kate Beckinsale off standing in the corner but that would just be cruel. 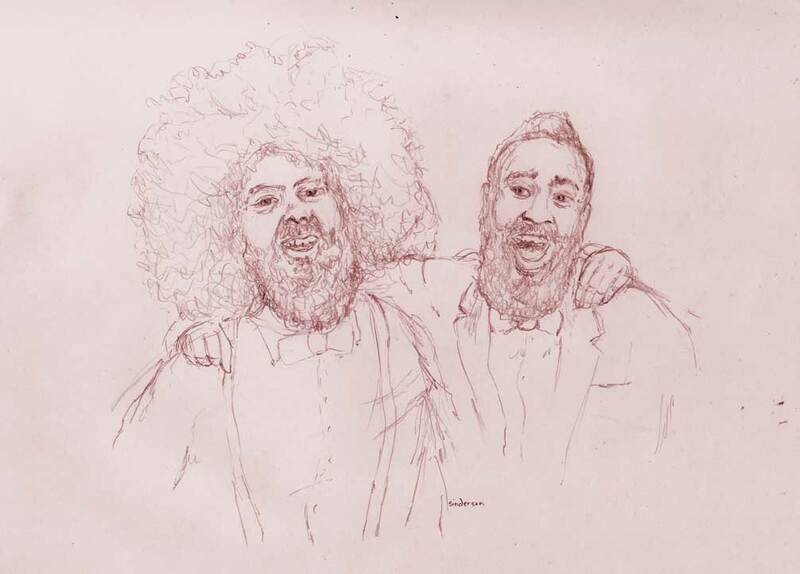 Two bearded people I’d like to think would be best buds: James Harden and Reggie Watts.